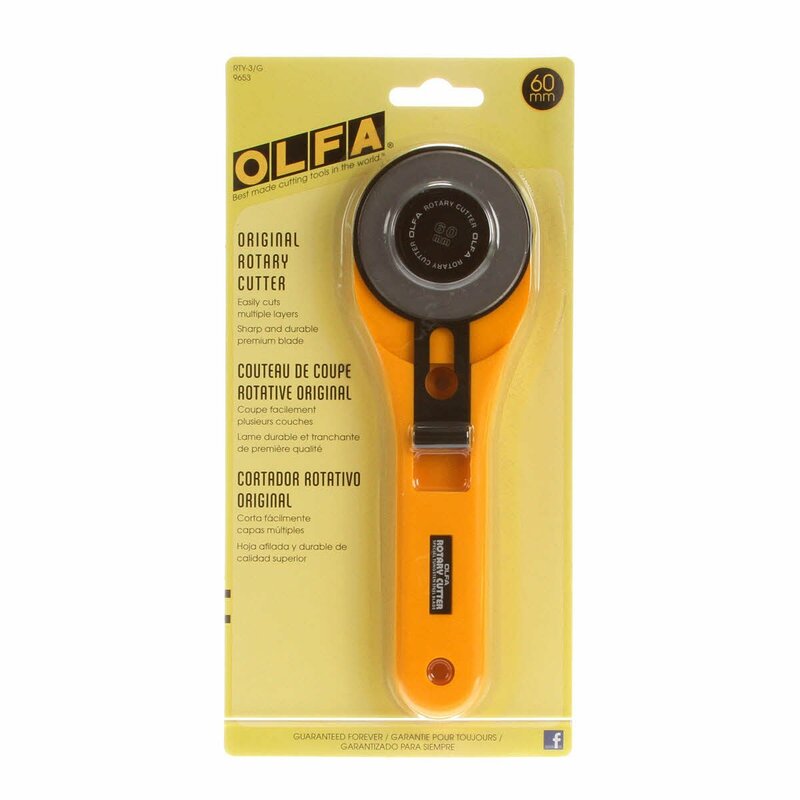 This 60 mm rotary cutter by Olfa features a durable handle with a blade cover for safety. 60mm Rotary Cutter is sharp enough to cut through 6 layers of fabric and difficult materials. This cutter features a durable handle with a blade cover for safety. 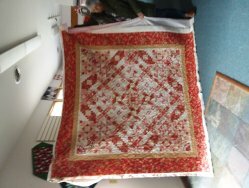 The cutter is a rolling razor blade used to cut heavy fabrics into shapes, strips and pieces for sewing, quilting and craft projects. The blade is made of high quality tungsten carbide tool steel for unparalleled sharpness and superior edge retention. Designed for both right- and left-handed use. -Good For: cutting cloth, fabric, paper, wallpaper, leather and photographs.